Stacker reclaimer equipment for Adani was among the cargo list when the Spliethoff D-type vessel MV Diamantgracht visited Townsville last week. 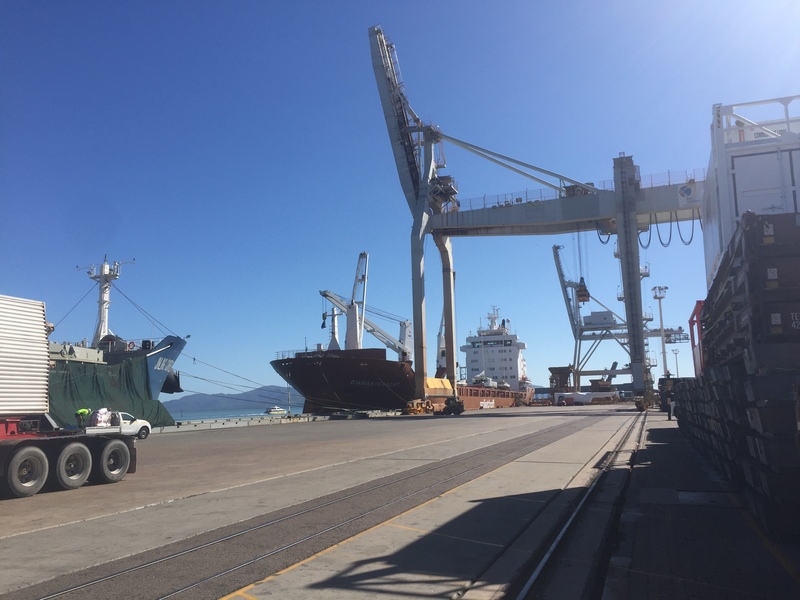 The 156.93m long vessel docked at Berth 3, Port of Townsville, where Spliethoff’s exclusive Australian agents Asiaworld Shipping Services entrusted NSS to unload four yachts stowed on deck as well as more than 130 pieces of breakbulk cargo relating to Adani’s Abbot Point stacker reclaimer. The Diamantgracht’s three heavy onboard cranes (up to 120mt) made short work of the task, with unloading operations completed within 25 hours.